From the pen of Hoosier writer Dan Lee. 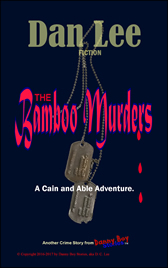 A former journalist and businessman, his stories bring every emotion to the page. 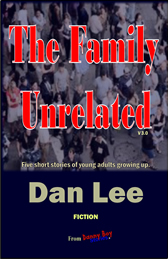 Although fiction, every story has been inspired by real events and real people. That's why each one is believable and exciting. Good people doing good things, experiencing life. Could it be you, perhaps your neighbor? 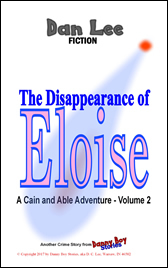 Catch our NEW Cain and Able Mystery Series! Someone is killing homeless veterans in a most unusual way. Two dead cops and a missing librarian? Looks are often deceiving. ...and many other Internet book sales sites. Buy from these Internet Sellers Today! 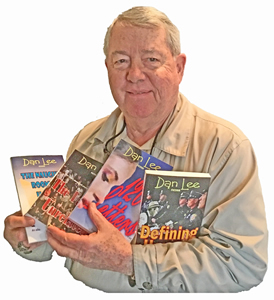 Search the Internet for "Danny Boy Stories"
Grab a good story in Paperback or E-Book format from Hoosier Writer Dan Lee. 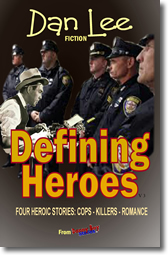 Whether you want a sweet romance, or chilling cop story, it is available from Danny Boy Stories ORIGINAL FICTION on-line everywhere. Two novella collections of four or five stories, a hefty novel, and NEW Cain and Able Mystery Series. CLICK THE LINKS IN THIS WEB SITE to find sales sites quickly. Novice crime reporters face a city mob, and fight domestic violence, too! Romance, Adventure. A well endowed man in a rooming house of women. The ending will surprise you. STRICTLY ADULT. Follow a handful of high school seniors as they face life, growing into adults. Romance, Action. Cops on the beat face chance of death, cultivate romance, too. Thrilling and heart breaking. 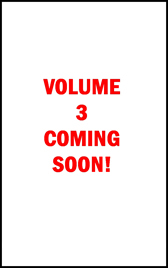 COPYRIGHT NOTICE: All publications and content, the Danny Boy Stories logo, and covers are protected and (c) Copyright by D. C. 'Dan' Lee, Warsaw, Indiana, 46582, and all rights reserved. 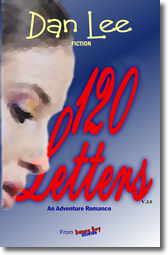 Take notice fictional material is entirely the product of the author's imagination. Any similarity whatsoever to real persons living or dead, actual places, or things, is purely coincidental; further, names and places of real geographical locations used in fictional work are intended for fictional realism purposes only, and said descriptions are fictional and are not necessarily accurate representations.